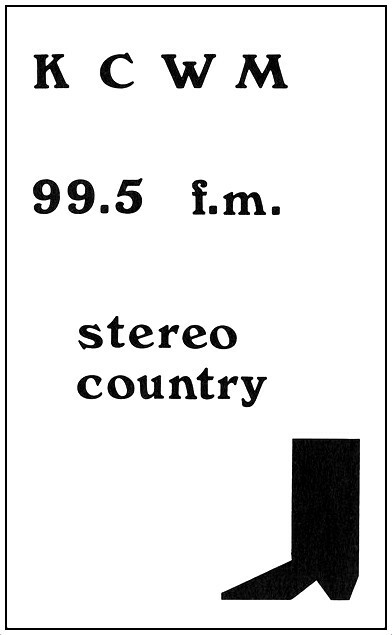 Okay, maybe they’re not obscure to people who listened to country stations in Dallas in the 1960s, but to someone who grew up in the ’70s in a household in which country stalwarts KBOX and WBAP were always on, these three stations are unknown to me. Of these, my favorite call letters are KYAL, as seen in the ad above — that’s right, “K-y’all.” Disc jockey “Johnny Dallas” was none other than local rockabilly fave, Groovey Joe Poovey. 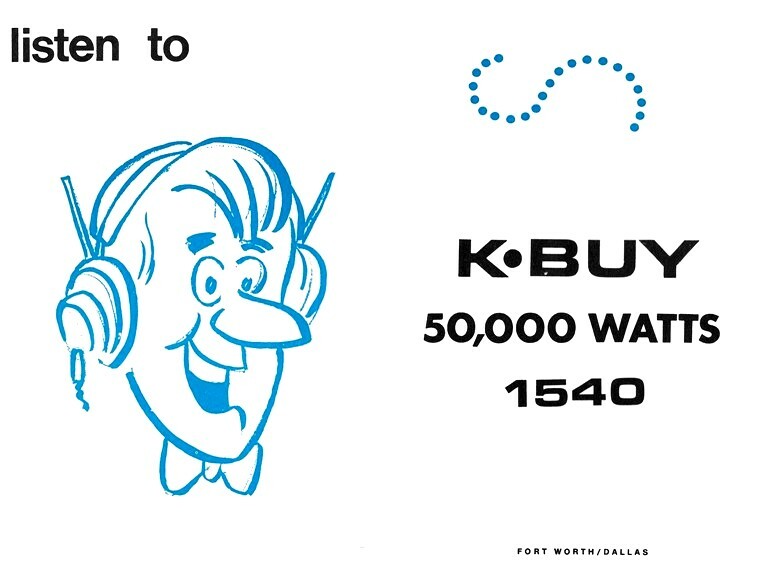 KBUY was out of Fort Worth and had quite the daytime signal. 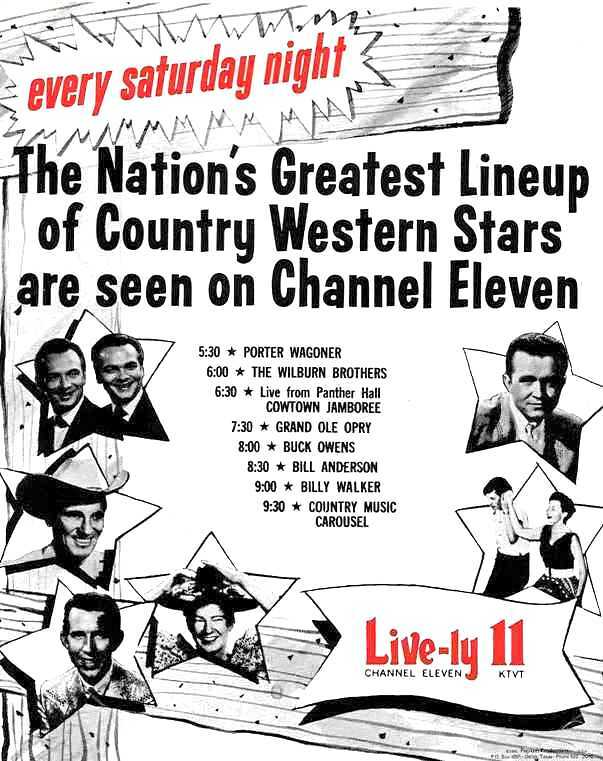 There was also KCWM (for “Country & Western Music”). This one was an FM station. Legendary DJ Bill Mack was hired by the station to get its country format going, and he even suggested the call letters. The best source for the history of Dallas-Fort Worth radio is, without question, Mike Shannon’s DFWRetroplex.com site. KBOX was the station that really started it all for country music radio in Dallas; read about its history here. Info on KYAL 1600 AM is on this page. Info on KBUY 1540 AM and KCWM 99.5 FM is on this page. Read about Groovey Joe Poovey here and here and here. See a slideshow of photos of him while listening to his GREAT version of “Deep Ellum Blues,” here. Have watched plenty of Porter Waggoner and Wilburn Brothers on RFD channel. Never knew Buck Owens had his own show. Must have been before Hee Haw. Would love to see some Panther Hall footage, but I’ll bet the tapes were recycled and none survived. When I discovered the RFD channel a few years ago and found those old shows … I was in heaven! I definitely remember the Buck Owens show — I might not have known who David Bowie was as a child, but, damn it, because of that show I knew who DON RICH was! It would be FANTASTIC if any of those Panther Hall shows survived. Buck Owens was a big Country Music star long before HeeHaw. It’s shame he had to leave Texas to make it big in Bakersfield. I’ve found over the years that people who swear they hate country music generally seem to like the Bakersfield sound of Buck Owens and Merle Haggard. Totally aware he was a big country music star before Hee Haw, just didn’t know he had a tv show before then. Very interesting post Paula and I’ve got to admit I’ve never heard of KYAL before now, maybe because 1969 was the year I got drafted and was gone for two years for the most part. 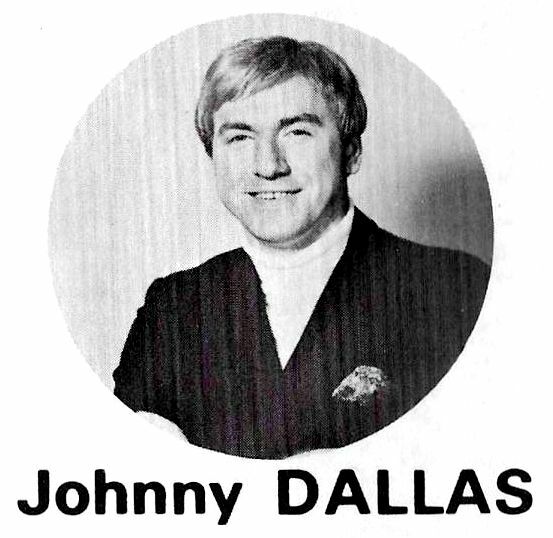 I do remember Johnny Dallas for some reason. I also remember listening to KBOX long before they went country. Used to switch between KLIF and KBOX in the early 1960’s for the Top 40 of the day, AM only of course. I actually learned only this past year that KBOX hadn’t ALWAYS been a country station! Radio like T.V in Dallas, then film and fine art then opera, was a major event that would span decades, while today radio and for the past 20 years it has become lost in the competetion of other forms of technology that give images, and yet people listen too radio still today,County radio was never big in Dallas compared to popular music…….it had the show and tell to become but it could not create a big following……in the City, in the country it was well received, then again this is a great story on radio, and you should observe all kinds of radio events…..the Long horn Ball Room is one example of Country that came and went……. 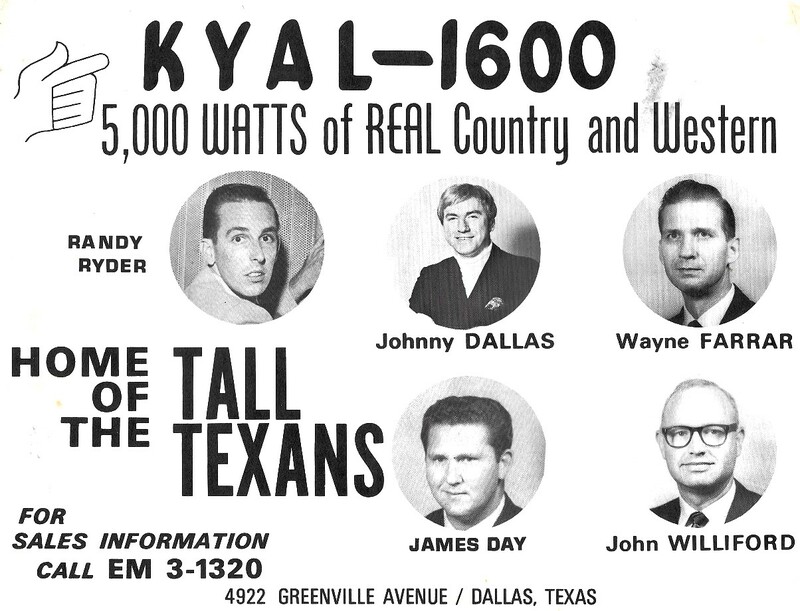 Actually, I think country radio has always been big in Dallas. It’s one of the top country markets in the US.